A petition has been started online that calls for Cameron County Sheriff Omar Lucio and Cameron County District Attorney Luis Saenz to stand up against animal abuse. The petition calls for charges to be filed against the person responsible for dousing a puppy with hot oil. 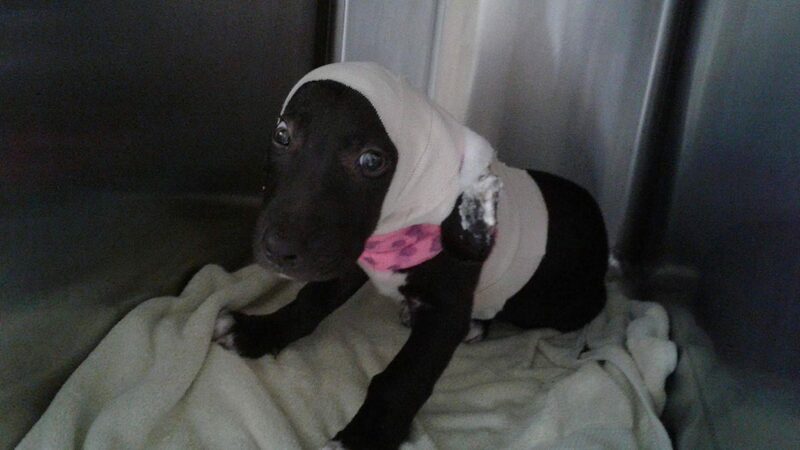 The 2-month-old Pit Bull puppy named Phoenix was severely burned on Sept. 14 when hot oil was tossed on it. The petition, started by Ashley Stryker, has already received 768 signatures. It seeks 1,000. Sheriff Omar Lucio said no arrest in the incident will be made and that it will be up to the office of District Attorney Luis Saenz to determine if charges will be filed in the case. As of this afternoon, the case had not been submitted to the DA’s office, officials said. Once the 1,000 signatures are received the petition will be delivered to Lucio and Saenz.